Microsoft has chosen an interesting day to make announcements. Either it’s using the incessant iPhone coverage as a cover-up, or thinking it might be able to steal some of the spotlight. We’re uncertain either tactic will be entirely successful. Despite the poor timing, Microsoft has unveiled a new Hotmail. The email client is still the most popular on the Web but is quickly losing market share to Google’s Gmail. In an attempt to keep a hold of its top spot, Hotmail is getting a new look as well as some interior work done. The largest foe Hotmail faces is “graymail,” which is email the lies somewhere between spam and actually useful content. And given the amount of Internet accounts and coupon curators we subscribe to, graymail can easily get out of control. The most important and long, long overdue feature Hotmail is introducing is Categories. Up until now, there’s been no way to properly label your email to keep things tidy and easily-identified. Now you can create folders, sub-folders, and so on to categorize your Hotmail inbox to your heart’s desire. Sure, most if not every webmail client has had an equivalent of this and Hotmail is incredibly late to the game, but given how many people are users you can file this one under much-welcomed addition. 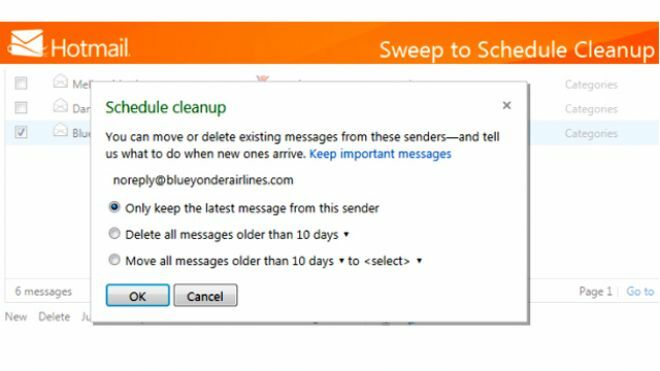 Other updates include a one-click unsubscribe feature that makes Hotmail go through the process of getting you off a mailing list, a cleanup scheduler which organizes or deletes old messages according to the calendar you dictate for them, as well as the ability to pin important emails to the top of your inbox. Check out the Windows Team blog for details on the revamp.